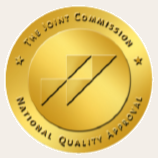 Skilled Nursing Home Care Morris County | BrightStar Care " "
BrightStar Senior Home Care in Morris County NJ, serving Morristown, Randolph, Chatham, Parsippany, Dover, Rockaway, and Morris Plains, offers you a free in-home consultation to help create the best Skilled Nursing care plan for you or your loved one. Our Nurse will contact you and set up a convenient time to meet and review your needs. We will recommend a care plan that works for you and your family. Helping families and their loved one stay safe and healthy is our main priority, as is supporting the independence and activities of the people we care for. THE MOST TRUSTED HOME NURSE CARE! 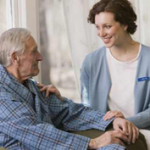 Knowledgeable supervision is necessary for safety and you can take comfort in knowing that a Registered Nurse or Director of Nursing is overseeing every aspect of your loved one’s care. To enhance quality of life, wellness care like diet, exercise and social activities are implemented in the treatment plan. Our caregivers have undergone extensive back-ground and credentials checks ensuring that we employ only the best in the industry! Our compatibility guarantee means your loved one will be matched with just the right caregiver and you’ll be 100% satisfied. No answering service or delayed response is acceptable when your loved one needs attention or you need answers or information regarding their care. We understand, and that’s why our clients are able to reach us, 24 hours a day. 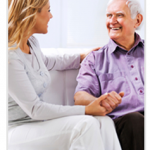 BrightStar Care clients deserve the best so you’ll always get knowledgeable responsive support!